The Straits Times reported that she will be working alongside current Prime Minister Tun Dr. Mahathir Mohamad, the man who sent her husband Anwar Ibrahim to jail twenty years ago. 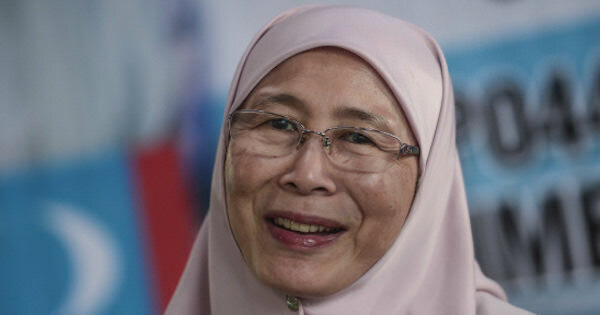 "It's not easy... but I believe he is a changed man, and we are able to work together to save Malaysia," Wan Azizah was quoted as saying by The Straits Times. 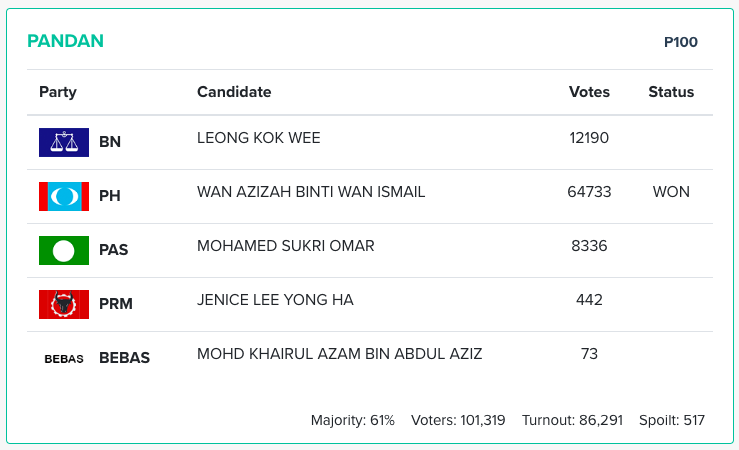 She was challenged by Barisan Nasional's Leong Kok Wee, PAS candidate Mohamed Sukri Omar, former Teratai assemblywoman Jenice Lee of Parti Rakyat Malaysia (PRM) and independent candidate Mohd Khairul Azam Abdul Aziz. Wan Azizah took the seat with a 64,733 votes and a 61% landslide majority. Wan Azizah went to school in Alor Setar and Seremban before studying medicine in Ireland. She was then awarded a gold medal in obstetrics and gynaecology before graduating as an ophthalmologist. She also served as a government doctor for 14 years before becoming a patron of the National Cancer Council (MAKNA). 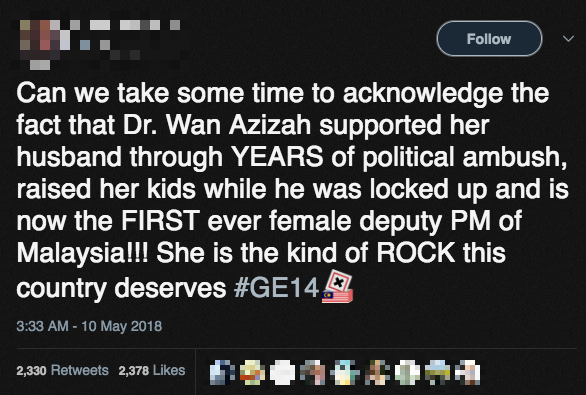 One netizen applauded Wan Azizah's journey to where she is today. 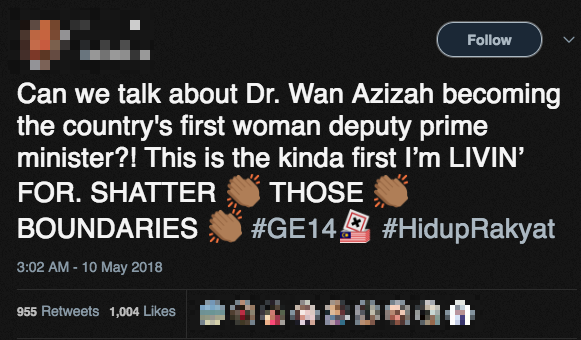 Another netizen wrote that Wan Azizah's appointment as the Deputy Prime Minister is breaking boundaries. Pakatan Harapan won 113 out of 222 parliamentary seats contested. Independent parliamentary candidate for Batu, P. Prabakaran won in GE14.